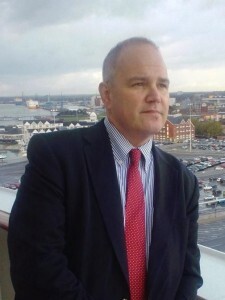 This summer’s course will be taught by instructor Jeffrey Morse in one section including men and women. Participants may bring their own copies of the recommended books to the course or may purchase them at the registration table before the start of the course (optional). All materials required for the course will be provided. Duquesne students taking the course for credit, please see the syllabus. Jeffrey Morse will be teaching this summer’s Chant Intensive course, bringing his wealth of experience to this summer’s course participants. Morse is a conductor, singer, and teacher of Gregorian Chant. A student of Dr. Mary Berry (Cambridge, UK) in Gregorian Chant and Gregorian Semiology. He also attended Sonoma State University and the Université François Rabelais de Tours (France). He was a student of Dr. Alise Brown at the University of N. Colorado in Ward Method, a method of teaching music, both modern and Gregorian notation and theory to school children. A native of Northern California, he however spent much of his formative years in England where he was exposed to the English choral tradition and especially the tradition of child choristers. In 2002, he established in a small parish in California a flourishing child chorister program under the pedagogical direction of the Royal School of Church Music, proving that even ordinary parishes can musically benefit from this most ancient of Church traditions-the child chorister. In this program, the children were not only trained in Chant but also in singing the treble parts of the polyphony with the choir every Sunday and major feast. The fruits of this were not only beneficial for the singing of services at the parish, adding to the beauty and solemnity of the liturgies, but promises future fruits as well as already some of the original child-choristers have gone on to undergraduate and graduate studies in sacred music. 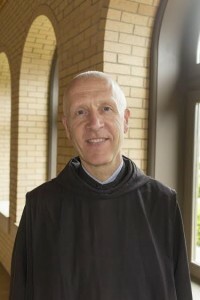 Mr. Morse is widely looked upon as a leader in the teaching of Gregorian Chant in the U.S and has given many workshops for adults and children in this matchless music of the Church. He is a regular Chant conductor and teacher at the annual Colloquium of the Church Music Association of America. Enthusiastic and missionary about this music, he has been called “disciplined in his approach, but fun and amusing, displaying a complete knowledge and understanding of his subject and its practice and use in the Church of the 21st century”. Mail-in and online registration can be completed now. To To register by mail and pay by check, complete the registration form for your desired course and mail to CMAA, 2014 Corn Dr., Las Cruces, NM 88001. The discount code for members has been sent to our member list by email. Please contact Janet Gorbitz or call 505-263-6298 for questions about your member discount code if you have not received it. If you wish to pay your registration fees in installments, please use the mail-in form. Please note that registration payment must be made in full by March 31st for Early rates or May 15th for regular registration rates. Tuition includes all sessions and supplemental materials as well as coffee breaks as described in the schedule. No meals are included in this tuition. All meals will be taken at the university dining hall. Payment is made at the entrance to the dining hall on a pay-as-you-go basis. Chant Intensive participants may bring their own copies of the recommended books to the course or may purchase them at the registration table before the start of the course (optional). Other needed materials will be provided. 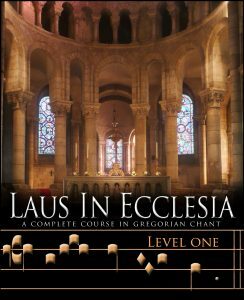 Laus in Ecclesia participants will receive course materials at registration. The week’s events will culminate with Mass in the campus Chapel on Friday. Early Registration (deadline: March 1, 2019) for CMAA Members is $300 (non-members $350); Regular Registration (deadline: May 15, 2019) for CMAA members is $350 (non-members $400), including nonrefundable deposit of $75. Payment must be made in full by March 1 for Early Registration or May 15th for Regular Registration to receive these rates. Member coupon code required for $50 discount. Dormitory lodging is available on the Duquesne University campus within easy walking distance of the Mary Pappert Music School. Participants will stay on the Duquesne campus in one of the dormitories (details forthcoming). The entrance desk will be secured with round the clock desk staff and equipped with ID card access, so late arrivals are no problem. You’ll receive your room assignment and room key at the front desk of the dormitory. Upon checking in, please make sure the room key is compatible with the lock. If there are any issues, guests are encouraged to see the front desk immediately. You can access a campus map by visiting the Duquesne University website here: Campus Map. Rooms are single or double occupancy. Linens will be provided, including sheets, one pillowcase, two bath towels, two washcloths, one pillow and one blanket. If you like to read before bedtime, bring a small book light for your convenience. Other items to bring: hangers, drinking cups, all toiletries (including blow dryer). Each wing features a kitchenette with full refrigerator, microwave and sink. Laundry machines are located within each wing – no charge to use! All residence halls are air-conditioned. The University is patrolled by sworn officers 24 hours a day, 7 days a week. You may register for a single- or double-occupancy room for your stay. Rates are $50/night for a single or $40/night for a double, including linens. If you request a double (shared) room, please email us at programs@musicasacra.com with the name of your preferred roommate. If you do not designate a roommate, we will assign one to you. If we are unable to assign a roommate to you, you will be responsible for the single rate. Requests received in writing at the CMAA Office (by mail or email) by May 15th will receive a refund less the nonrefundable $75 deposit. Refunds will be processed after the Summer courses have concluded. Any requests for cancellation after May 15th will only be processed if a replacement from the waiting list is able to take your place. Dormitory cancellations will be processed if Duquesne University approves the change.